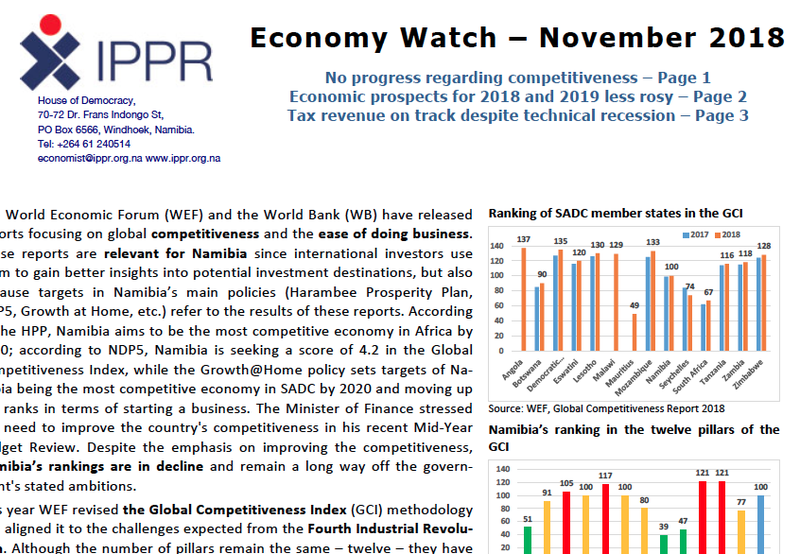 The IPPR’s latest economic bulletin bemoans the fact that Namibia continues to drift down global competitiveness and ease of doing business rankings despite the fact that improvements have been factored into national development targets. Namibia’s economic prospects for the next year remain less than rosy – with growth forecasts being downsized. If current predictions hold, the economy will have soon been in recession for two years. One glimmer of hope is that tax revenues for 2018/19 remain on track due to boosts from the mining sector and the withholding tax on savings.